Bye-bye electric pump! It looks like you served the previous homeowners for a good long time. Now your electric switch doesn’t work, and I feel I can in good conscience replace you with something quieter and simpler. When I bought this house a few months ago, I was delighted to discover it had a working well and that the water was sweet, not salty or sulfurous. The pump was electric but a good friend who is handy just helped me replace it with a manual pump. 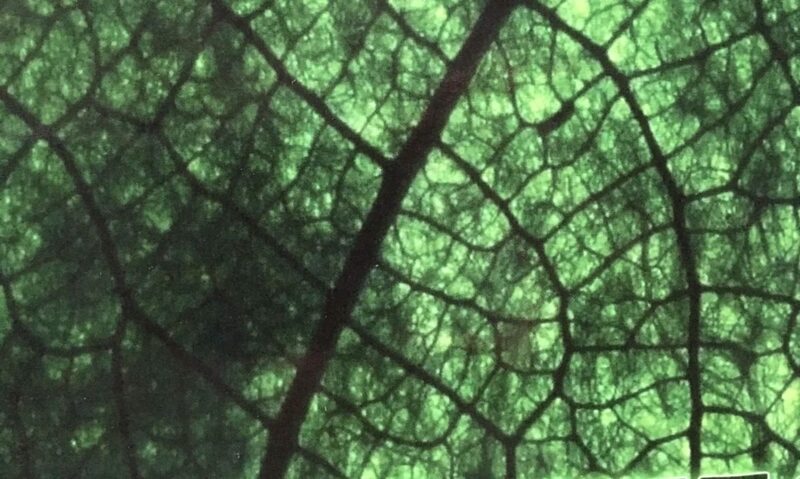 (I ordered the pump online from Lehman’s, a supplier of hand-tools, hand-powered kitchen appliances and other goodies highly conducive to low-footprint living). Nice boost in household disaster-preparedness! Note: I’m not mechanically inclined, and neither do you need to be to do a project like this. I suggest grabbing a friend or neighbor who is “handy” and likes to teach. You’ll expand your knowledge, have a great time (even if there are some frustrating moments when you hit a glitch, as we did numerous times), and at the end of it all, you’ll have a new asset for you, your family, and your community. You could also watch YouTube tutorials but I find that a live human companion boosts the joy, the learning, and the odds of success. Particularly for someone like me who tends to get discouraged easily by unfamiliar challenges in the physical universe. Person-to-person learning is gold! And really what a delightful way to spend a day, or part of a day. If treating your “project expert” to a nice meal doesn’t feel like sufficient compensation for their help, you could offer money or barter. You might have a skill they would love to learn! I’m fortunate to have a very close friend who totally lives for projects like this (he calls it “old man syndrome”, meaning a strong innate drive to pass on his knowledge and skills — lucky me! ), and is happy simply to be taken out to lunch or dinner. 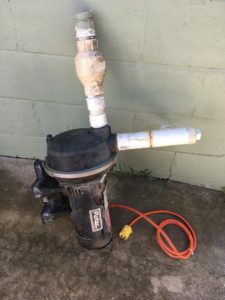 – Remove the electric pump by sawing the PVC pipe that connected it with the well. Charlie used his small electric saw but a handsaw would’ve done OK too. The electric pump had been installed sideways on the ground, so it was joined to the well pipe by an elbow joint. Once we sawed it off below the elbow curve, there was just PVC pipe sticking up vertically out of the ground. – Join another piece of PVC to the piece sticking out of the ground. For the joining, we used a coupling component made of rubber. The pump was meant to join up with a 1-1/4″ piece of pipe, while the pipe sticking up out of the well is 1-1/2″. Therefore we needed a coupler designed to join those two different sizes of pipe. Couplers are basic everyday things sold in hardware stores, and they come in various sizes, such as “1-1/2 to 1-1/4.” They can be rigid PVC, or can be flexible neoprene like the one we went with. – The length of the add-on PVC was determined by the height I wanted the pump to be, both for purposes of being able to fit a watering-can or bucket underneath, and also for purposes of allowing me to pump water on a regular basis without straining my back. This height, in my case, ended up being about the height of three cinder-blocks. – Mixed a small amount of concrete in a bucket. Easy peasy, no harder than making mud-pies. – Stacked up cinder-blocks and filled the hollow part with concrete. The concrete set very quickly. This heavy stand keeps the pump from wobbling, and the pipe possibly breaking, when in use. – The pump has screw-holes to attach it to whatever surface it’s sitting on. 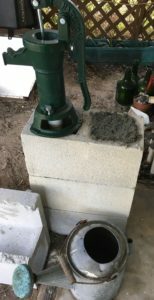 Charlie used a masonry bit to drill holes in the concrete, and attached the pump to the concrete with special screws that have anchors designed to attach them securely to concrete. Recommended resource: Lehman’s, “Experts in Living a Simpler Life Since 1955.” Diverse product selection; well-deserved reputation for excellent customer service.